“All injured have been airlifted to Kathmandu and they are undergoing treatment at Grande Hospital,” Pandey was quoted as saying. 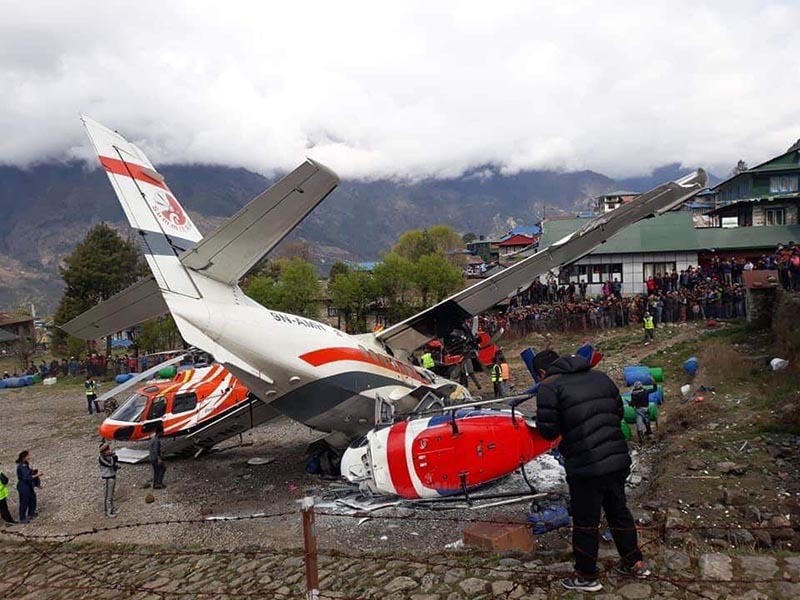 The deceased include Summit Air’s co-pilot Sunil Dhungana and assistant sub-inspector of police Ram Bahadur Khadka, who was stationed in Lukla for airport security, airport officials at Lukla were quoted as stating. There were no passengers on board while the aircraft took off for Manthali, a police officer said. Summit Air’s pilot Captain RB Rokaya and flight attendant R Lama are safe.